Charles Bombardier, Canadian inventor and engineer, is the founder of Imaginactive, a non-profit dedicated to innovative ideas in vehicle design. Like his grandfather Joseph-Armand Bombardier, he has many great ideas that might change the transport industry as we know it. 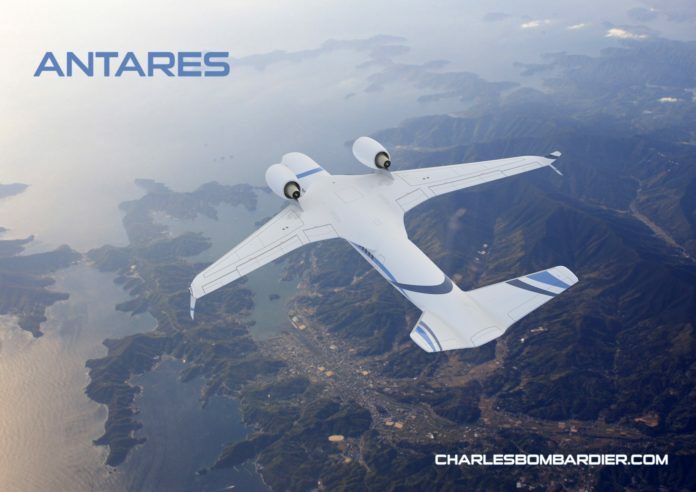 In this exclusive interview with AeroTime, Charles shares his insights about the future trends in aircraft design. What are your thoughts on current trends in aircraft design? What ideas should be tossed away and what concepts should be embraced on a wider scale? I think that we are going in the right direction with lighter aircraft structures and more efficient engines (C-Series). The biggest problem we face is development cost. Companies take the risk to develop new technologies and that risk needs to be shared with the users and the countries that will benefit from them. If we had the capital we could develop really high-tech airplanes but it would cost hundreds of billions of dollars to develop them. Are the customers and the public ready to assign that much capital to airline travel? Maybe it should be invested in faster trains? That is one of the problems behind development. I think that in the future more alliances will be made between countries and companies to reduce the risk associated with R&D and marketing, and we will be able to work on bold projects like the ones proposed by NASA. In your concepts you seem to use many elements from animal biology. What inspires you most – nature or science fiction? Real problems inspire me the most. Technology inspired me the most to solve those problems. If the technology uses biomimetic principles then I will feature it. Science fiction is inspiring too but it lacks credibility. I am willing to avoid going into detail to leave room for interpretation but I am not willing to say something like “this is a Transporter and it simply teleports you”. My goal is to inspire people including tinkerers, designers, engineers and policy makers. I would like to build a positive view of our future and encourage the next generation to talk about the world they want to live in. By sharing my ideas openly I am also asking indirectly to consumers a primordial question: are you interested in this idea? If a concept gets lots of attention, it helps to convince investors to finance a prototype. In a way, it’s a step before crowdfunding. How many of your own concepts have been brought to life? A scale model of the Nunavik arctic express was built; Iruka and Wingsurf were also built as prototypes (not by me). I know there are more but I don’t keep track of them, and some tinkerers or companies might prefer to keep their projects confidential. Once I publish a concept idea, it becomes out of my hands. I would like to try the Sekonride at home; it’s a VR powersport simulator. It would be cool to explore new worlds with it. In airports I would really like to use a system like the Escatek concept to save time. In Montreal, a driverless motorcycle like the Cyclotron would be handy to commute daily. Of course I have lots of other favorites; these are just the ones that come to mind. After more than 20 years in development, roadable aircraft AeroMobil 3.0 is expected to enter the market in 2017. How optimistic are you about flying cars? I think light eccentric drones is the way to the future of solo or tandem flying, flying cars are too heavy. I think people will start using shared cars and shared drones depending on what they need to accomplish. So it will be more efficient this way for everyone. From your point of view, could solar power aircraft be used to power large passenger airplanes? I don’t see that happening. A glider with very fragile wings achieved this but imagine the power required to carry 800 people with their luggage and the structure designed to carry them safely! Solar power is limited by the surface you can cover. I think electricity storage is the way to go, in the meantime maybe hydrogen could be exploited but it’s too expensive compared to jet fuel. Like I said, lighter aircraft and more efficient engines and aerodynamics is the way to go. At least in the short term. Will hybrid airplanes (such as the Airlander 10) be entering the market any time soon? Well, you caught me there! I’ve been so busy these last few months that I missed its maiden flight, so I will need to take a look at it and get back to you. Anyway the problem is not finding new ways to fly, it’s the risk associated with developing the technology. There is simply not enough risk takers to support the amount of capital required to develop a plane. So what we need to do is become creative on how we will finance future aircraft designs and think outside the traditional box.